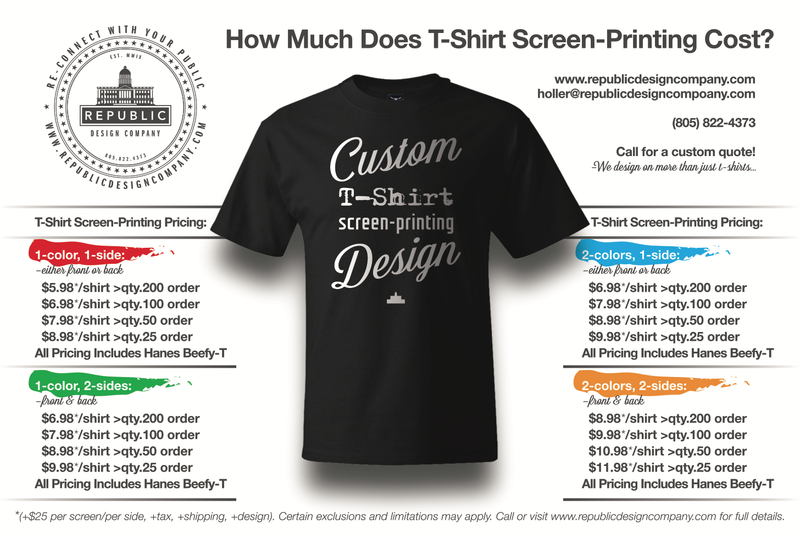 When it comes to ‘Custom T-Shirt Screen-Printing Design’ the options are seemingly endless. That is why we at Republic Design Company have put together this simple ad-campaign to give current and perspective clients an idea of costs. We hope that you find this informative and invite you to contact us for any-and-all design projects you may have on the horizon. Regus is a multinational corporation that provides global workplace. Regus offers ready-to-go office space, business centers, executive suites, and corporate offices in 3,000 locations across 120 countries. 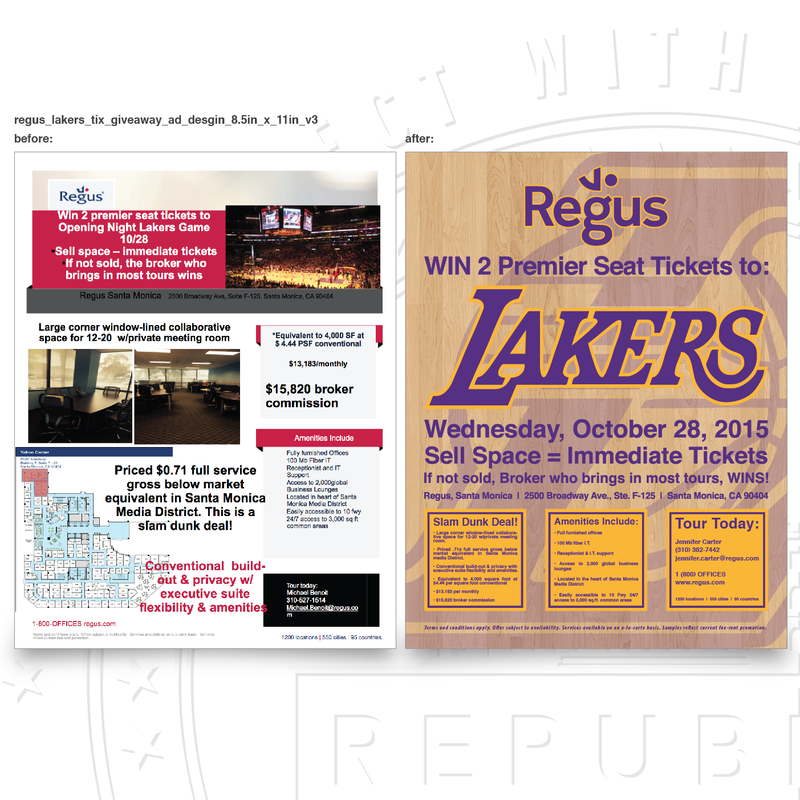 Republic is happy to be called-upon to create specifically targeted ad design campaigns on an on-going basis for several Regus locations throughout Southern California, (and beyond). 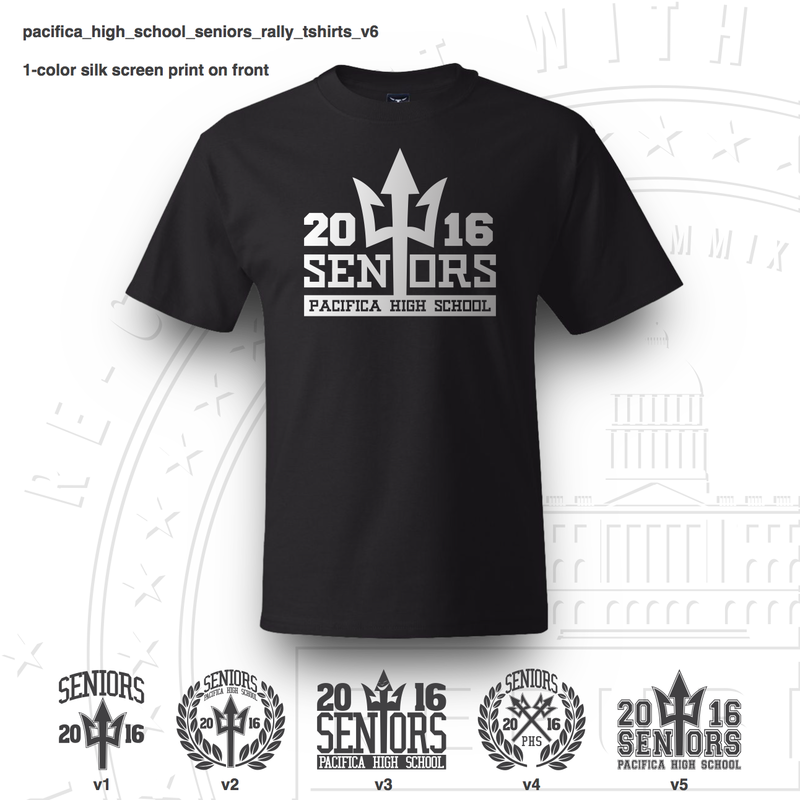 Pacifica High School commissioned Republic Design Company for the design and production of their 2016 Seniors Rally Tshirts. Student “My Tran, (Pacifica High School Senior Class Treasurer),” reached out to us for the design and implementation of the Seniors Rally Tshirts. She asked us to come-up with original creative designs that encompassed the look, feel, and livery of Pacifica High School. After some brief research on the history of the look, feel, and livery of thee Pacifica High School (PHS) “Tritons,” we developed a very clean, simple, symmetrical “Trident.” We originally outlined the Trident, added class year “2016” (20 on left, 16 on right) and collegiate block letters “SENIORS,” arched above, (see v1 in image above). In the normal course of design discovery, we noticed that we could use the Trident to double as the “I” in Seniors. We continued to develop 5 (five) design variations until they decided upon version 6 (main design featured above). We’re happy to report… –Due to the success of the Pacifica High School Sneiors Rally Tshirts, they have sold out, and are contemplating a reorder.